The crisis in the Sahel is making headlines now, but it has been building for many months. 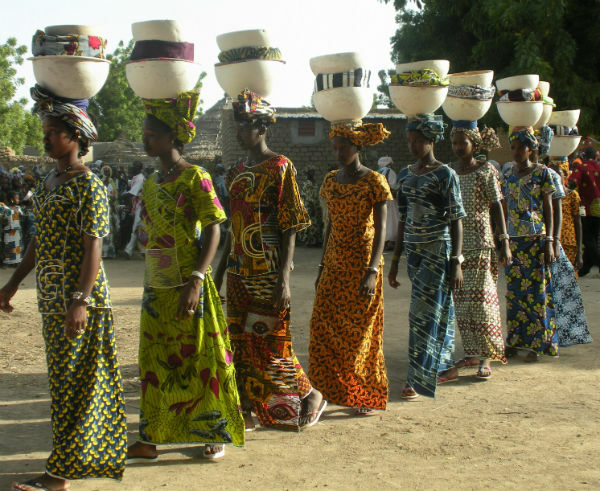 A year ago, my colleague Marième Daff, Trickle Up's Africa Program Director, wrote about the "delicate dance," a series of intricate steps that women in Mali and Burkina Faso have to take to ensure that their families are fed and their newly established livelihoods keep growing. The mood a year ago was one of uncertainty and worry. Now, following the Malian coup d'etat and subsequent rebellion in the northern regions, this dance has stopped. Uncertainty and worry have given way to a true crisis, with the World Food Programme and the United Nations estimating that over 300,000 people have been displaced as a result of food shortages and high prices. Many more remain in their homes and villages but struggle to have enough to eat every day. As this crisis progresses, the population who suffers most are the ultra-poor, a subset of the "extreme poor" -- people who are living on less than $1.25/day. What characterizes these 1.4 billion people around the world are their insufficient and irregular income, chronic food insecurity, poor health, and minimal assets and savings. They are highly vulnerable to any health or environmental shocks and live in remote rural areas. To survive, they prioritize consumption over investment. The ultra-poor are disproportionately female, members of indigenous groups and people with disabilities; they are frequently underserved by government and international development program and policies. Trickle Up, a U.S.-based organization that works specifically with the ultra-poor, has a field office located in Mopti, on the border between the northern and southern regions of Mali. Mopti has become a hub for internally displaced persons fleeing the famine and political unrest. They come from the north, from the regions that have seen the worst of the Sahel drought and devastation. Now, with the Tuareg rebellion, international aid and support has practically ceased into the separatist-held areas of Gao, Timbuktu and Kidal, exacerbating an already dire situation. The extent to which the northern regions are cut off means Trickle Up has very limited contact with our implementing partner agency in the north, who are our lifeline to our ultra-poor participants. We have been working closely with our five other partners in and around Mopti, and we know participants are receiving aid and there are some signs of economic activity in their areas, though drastically reduced. 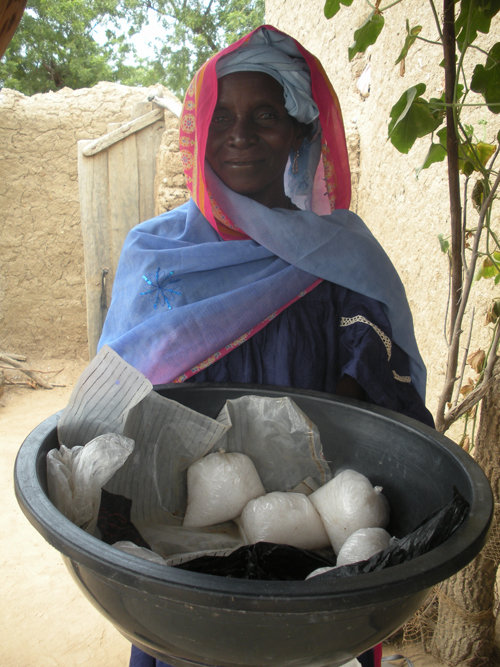 Diedere Dicko, a widow with three children, explains, "Selling salt is very hard for me now." Trickle Up interviewed her last year when she was running a vibrant small business buying salt in bulk and then selling it in very large bowls in her village of Koumaga. "Now, however, the difficulty is that there are a lot of people selling salt and our buyers do not have the means to buy in cash. So, I'm forced to barter for millet, maize, and rice to feed my family." Diedere Dicko, a widow with three children, pictured here with her salt bowl last fall. Trickle Up provides ultra-poor women like Diedere with the tools to build livelihoods that grow their income, skills and self-confidence. We also support the formation of savings groups, which offer a glimmer of hope in this crisis. These groups, based on the traditional tontines of Africa, not only build their savings but also help the women build solidarity amongst one another in their communities. It has become a pathway for continued progress after women complete our program. Before the crisis, these groups enabled women to use credit to, for example, buy extra rice to fill gaps in their family's food supply. It also helped them collectively invest their savings in such things as a granary, helping them store food during the more plentiful months in anticipation of difficult times like these. For Bintou Tangara, though her group's granary has run out of stock, she explains to us that, "I have difficulties making my weekly savings group contribution, but I still try. A lot of savings groups are in the same situation as me. Although we have already received some support in cereals, we only just get by these days, but we still try not to touch our savings funds. It's too bad because my business had begun to make me dream, but alas all my profits are now being used to purchase food to support my household," she says, with hope still in her eyes. Women attending and counting money in their cash box at a typical savings group meeting in Mali. Only time will tell how the poorest of the poor will fare throughout this crisis. What we do know is that aid to this ultra-poor population is critical to their survival and that steps need to be taken to ensure that the poorest in these affected areas do not get overlooked. Still, both Bintou and Diedere are quick to tell us that they are among the fortunate. Though they feel confident they have the business savvy, savings group support and incoming aid to get themselves and their families out of this crisis, they worry about their Northern countrymen and women. Diedere explains, "I am lucky, I have not been displaced from the North," while Bintou says "... their situation speaks to all. May God save us." Images courtesy of Trickle Up.